Why and How to Register a Business / Company in Argentina? In recent years, Argentina has become an even more attractive marketplace, with the introduction of key legislation creating more business opportunities for both local and foreigners. One great example of this is the creation of a new type of legal entity, the Argentine Simplified Shares Company’ (S.A.S) which has encouraged foreigners to begin commercial activities in the region. Many foreign companies have chosen Argentina as their prefered Latin America jurisdiction to begin commercial operations. 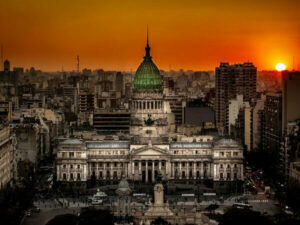 Why do Business in Argentina? Many foreign companies have chosen Argentina as their prefered Latin America jurisdiction to begin commercial operations, and are reaping the rewards. The business registration process is relatively straightforward when working with a local partner. Argentina is an attractive location for foreign investment because of its large population of qualified workers. In regards to employment, hiring staff in Argentina is beneficial as the population are generally very qualified, with many speaking English fluently. Argentina, being a member of MERCOSUR has many benefits in regards to international trade. Argentina has free access to a handful of Latin America regions (not to mention their international trade agreements) which creates the ideal location to begin a trading company. Additionally, Argentina has two types of tax-exempt trading zones. The Argentine legislation doesn´t have restrictions on foreign investments, but rather encourages it. Foreign investors enjoy the same legal treatments as domestic companies and individuals. Foreign companies can invest without pre-approved or registration pre-requisites. *The government has implemented incentives to promote further promote investment in the Argentine economy. One example of this is the creation of the ‘Agencia Argentina de Inversiones y Comercial Internacional’. There are over 40 languages spoken in Argentina, with Spanish being the dominant and official language. The other languages commonly spoken in the country are English, Portuguese, Italian and French. The ability to access multi-lingual staff is great for companies who operate across borders and need educated staff who can work in a variety of languages. How to Register a Business in Argentina? 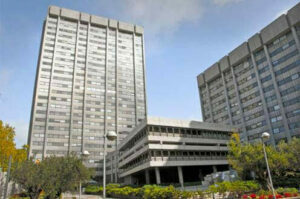 There are different types of businesses/companies in Argentina that you can choose from when establishing operations. Each of these has different advantages and requirements. In many cases, the type of company will depend on your company´s business needs and business activities. Consult with a local expert when deciding on the best type of company to choose from. The S.A.S is an attractive legal entity in Argentina for a variety of reasons. An S.A.S can be incorporated by one shareholder (natural or legal person). Regardless of the shareholder structure, the company must be registered with the Public Registry. The business name must include ‘Sociedad por Acciones Simplificadas’ or its abbreviation ‘S.A.S’. An S.A.S minimum initial capital must be equivalent to 2 monthly minimum salaries (approx. AR$16,120). S.A.S partners are legally entitled to decide on the company´s organization structure, laying out the provisions governing the company’s corporate body. S.A.S companies can carry their corporate and accounting books by electronic means. Need Help Registering you Business in Argentina? Doing business in Argentina has many commercial benefits, with the region being full of exciting investment opportunities. However, doing business in a new country can have some challenges since you will be dealing with a new culture, laws and requirements. At Biz Latin Hub, we can assist you to register your local Argentine business. We have a team of local professionals, who provide tailored market entry and back-office services. If you are interested in doing business in Argentina, contact our bi-lingual Country Manager, Javier at [email protected] and see how we can support you in Argentina. To learn more about doing business in Latin America, watch the following video!